Roxborough Residence profiled in Designlines | Williamson Williamson Inc.
Designlines Annual Homes issue has come out and features an article on the house we recently completed on Roxborough Street in Toronto. The thoroughly modern clients encouraged us to strip away the dark and deteriorated parts of an old Toronto home and re-engage light and space. 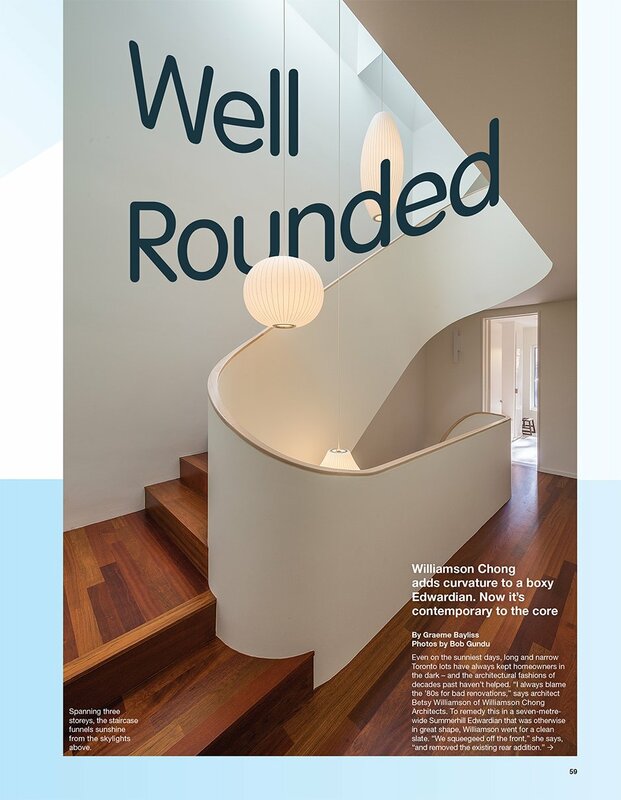 Creating a four story curved volume through the home that allows light to transform the interior was the nexus of the project, connecting all the floors to daylight and tying together the once disparate spaces.